A new report on the well-being of nurses, health care assistants and midwives has uncovered some shocking statistics that can’t be ignored. Cavell Nurses’ Trust, a charity which have been supporting nurses since 1917, spoke to over 2,200 staff covering issues on financial hardship and deprivation, domestic abuse, health, illness, well-being and employment. The results are quite difficult to take in. 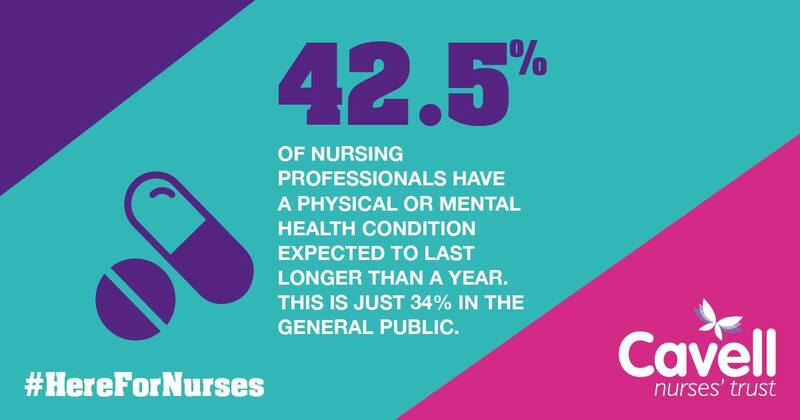 42.5% of nursing professionals have a physical or mental health condition expected to last longer than a year. This is just 34% in the general public. Nurses are twice as likely to suffer financial hardship compared to the general public. 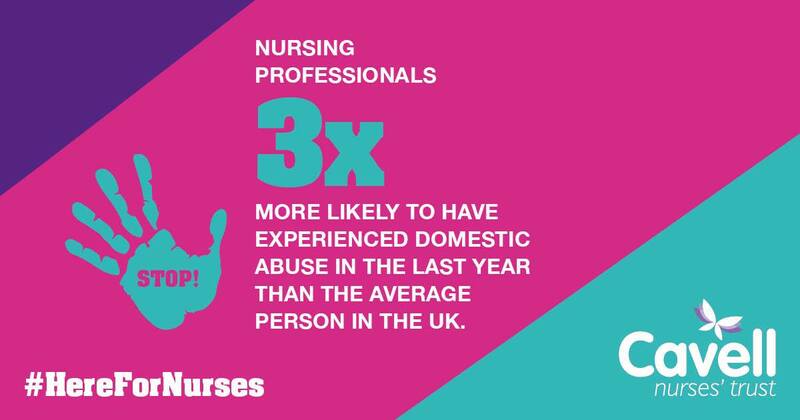 Nursing professionals are 3x more likely to have experienced domestic abuse in the last year than the average person in the UK. 28% HCA’s couldn’t afford two pairs of all-weather shoes. 18% HCA’s don’t have enough money to keep their home warm. These are only a few of the staggering statistics from the report that really shows the problems that our healthcare staff are facing. Download the full report from Cavell Nurses’ Trust here. Nurses make up the largest part of the NHS workforce, at just under 30%. This is a huge amount people that are suffering such hardship across the country. It isn’t right that the people who take care us, day after day, are struggling to cope with the pressures surrounding their profession. Cavell Nurses’ Trust do some truly amazing work; helping nurses and healthcare professionals in times of hardship. They give money and provide support when they’re facing a crisis. Whether they’re suffering from domestic abuse, the effects of older age, or if they’re unable to work due to sickness or long-term illness. Take a look at some of their case studies highlighting some of the work they have done to help people. Our ‘Good Causes’ program is all about helping NHS staff, which is why we’ve partnered with Cavell Nurses’ Trust to provide the Health Service Discounts Lottery. The fundamental principle of the lottery is to raise funds to help the nurses, HCA’s and midwives who need our help. The lottery is drawn weekly with a fantastic jackpot up for grabs of around £600. It only costs £1 to play and 30p from every pound goes to Cavell Nurses’ Trust. But that’s not all, Cavell are then able to DOUBLE YOUR GIFT to 60p using ‘matched fund’ This was set up after a generous and kind donation from The Perseverance Trust, who are also committed to helping as many nurses, HCA’s and midwives as possible. There’s more information about the Health Service Discounts Lottery and how to play on our website. We would love to hear your thoughts on these concerning issues in the comments below and you can join in the conversation using the hashtag #HereForNurses on Twitter and Facebook. If you’re a nurse, HCA or midwife who’s in need of some help, you can find all the information that you need on the Cavell Nurses’ Trust website. Nurses make up the largest part of the NHS workforce, at just under 30%. But how good is your nursing knowledge? Take our quiz, let us know your score on Facebook and SHARE THE QUIZ WITH YOUR COLLEAGUES to see who gets the best score! Who’s Entitled to Our NHS Discounts? Providing NHS discounts for big brands is our way of helping hard-working NHS staff save money. It’s a small thank you for the amazing job that you do looking after the health of the nation. We often get asked by staff in a variety of roles if they’re entitled to our NHS discounts. So, we thought it would help if we gave you an overview of who can use our offers. It doesn’t matter what your role is; everyone who works in the NHS is entitled to our discounts. 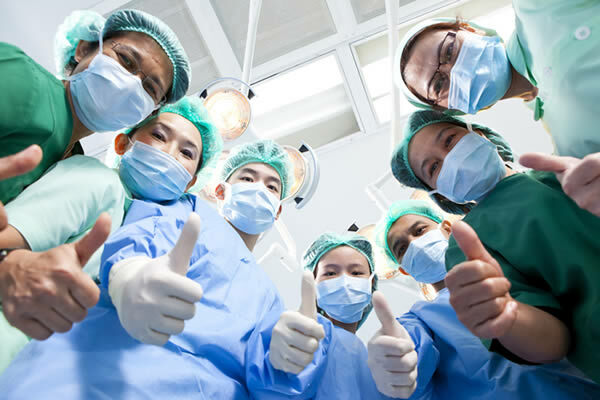 Porters, admin staff, nurses, surgeons, pharmacy staff, dentists and every role in between. Full-time, part-time, contractual, bank staff – if you’re working in the NHS you’re entitled to our discounts. Please select the option ‘NHS Staff’ on the registration form and choose your organisation. NHS students and trainees are the new-blood of the NHS, so of course they are entitled to our NHS discounts. It doesn’t matter which field you’re studying; our discounts are there to help you save some money while you are working hard to pass your exams. If you have a valid NHS ID badge, please select the option ‘NHS Staff’ on the registration form. If not, please select ‘Other’. This is a question that we get asked more than others, as many retired NHS staff don’t realise that they are eligible to our NHS discounts. Retired staff have dedicated their life’s work to taking care of others and saving lives, so it is only right that our NHS discounts can help them save money too. Unfortunately, there may be a few deals that retired NHS staff can’t use, such as the Cashback Card, because this requires an active NHS email address to validate the account. Please select the option ‘Retired or Former NHS Staff’ on the registration form. Foundation Trust Members play a pivotal role in their communities and provide fantastic support to the NHS. There are a few offers that are unavailable to Foundation Trust Members, unless they have a valid NHS email address or ID badge. Please select ‘Foundation Trust Member’ on the registration form. One of the perks of being related to a superhero! Family and friends can claim some of our discounts too. Please select ‘Family or Friend’ on the registration form. For a full list of who’s entitled to our discounts and the offers available click here. 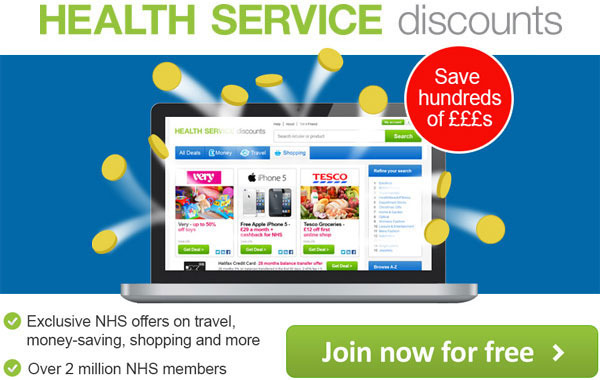 Sign up for FREE and start saving money with our NHS discounts today! We want to make it as easy as possible for you to find an offer that will help you make a great saving. That’s why we’ve created this NHS discount list. All of our discounts have been arranged in order by the name of the brand. Simply click on the links to go through to the offer pages, login to your account, then claim the discount. If you’re not already registered with us, you need to sign up as a member before you can claim our discounts. Find an amazing saving today from our NHS discount list.